In the United States it is estimated that less than half of all adults have an estate plan in place. If you are among that minority you are to be commended; however, do not make the mistake that people so often make of forgetting about your estate plan after it is created. Often, an outdated estate plan creates far more problems than it solves when the time comes to probate the estate. To ensure that your estate plan is accurate and current you should take the time to review your plan at regular intervals. In addition, there are several life events that should trigger an estate plan update. Although there is no “set in stone” rule regarding how frequently an estate plan should be reviewed, it is common practice to update a plan at closer intervals during your working years and less often after you retire. The reason for this is that important benchmarks in your life tend to occur earlier in your life, making it more likely that your estate plan will need to be revised with greater frequency when you are younger. A good rule of thumb is to schedule a review of your estate plan every three to five years prior to retirement and every five to seven years after you retire. Marriage – your own marriage will require you to add your spouse to your plan. The marriage of a beneficiary may also dictate a change in your plan. Divorce – as soon as you have made the decision to divorce you should likely update your estate plan so your soon-to-be ex-spouse does not remain a beneficiary in your plan. Birth – future born beneficiaries can be included in a plan without more detail; however, once born it is best to add in those details. Death – the death of a beneficiary calls for a review as does the death of an Executor, Trustee, Guardian, or anyone else named to an important position in your plan. Move out of state – because wills, trusts, and estates are governed by state law you should always have your plan reviewed if you move to a new state. Major asset change – small changes and fluctuations should be accounted for in your existing plan; however, a major change in your assets and/or estate value calls for an update. New business – if you start a business you need to include business succession planning in your estate plan. Changes in the law – a major change in the law could impact your plan. 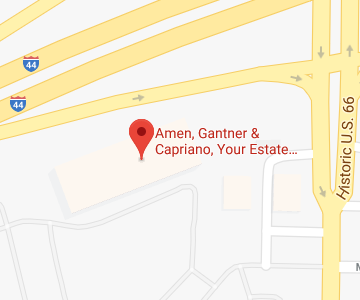 If you have additional questions or concerns about when to review and revise your estate plan, contact the experienced Missouri estate planning attorneys at Amen, Gantner & Capriano, Your Estate Matters, LLC by calling (314) 966-8077 to schedule an appointment. What Components Do You Need in Your Estate Plan? Celebrity Lessons – Could Whitney Houston’s Estate Plan Have Protected Bobbi Kristina?